Zartman Erosion Control Products, LLC provides quality erosion control matting tailored to your specifications and size requirements. Whether you are constructing a roadway, parking lot, designing and erosion control plan, or planning a drainage system, our products are a proven benefit to your project. 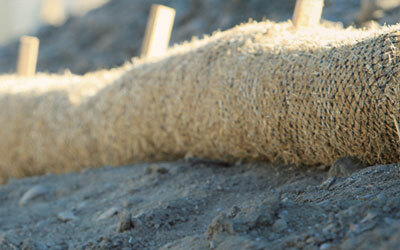 Our erosion control blankets can be used for slopes, drainage channels, and shorelines. The blankets are produced using degradable agricultural straw, excelsior, coconut fiber, or polypropylene fiber, as well as composite blankets. Zartman Erosion Control blankets offer the best full coverage protection and are easy to install. Not only do they control soil erosion, but they also conform to any soil contour to enhance vegetation establishment. They can be used for slopes, drainage channels and shorelines. They offer there to thirty-six months of protection (depending on the product used). The blankets are produced using degradable agricultural straw, excelsior, or coconut fiber. 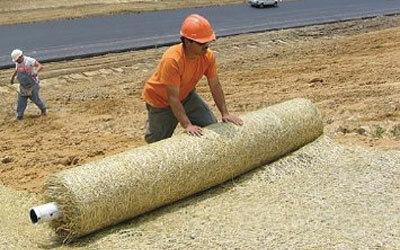 Zartman also manufactures a wide variety of products that assist in the installation of erosion control blankets. These include brackets that can be attached to ATV’s or forks to unroll 500 to 1,000 square yard rolls. We also supply automatic cartridge staplers and steel staples, both standard and circle top, biodegradable stakes, wood stakes, circle top pounders, silt fence, synthetic straw logs and much more. 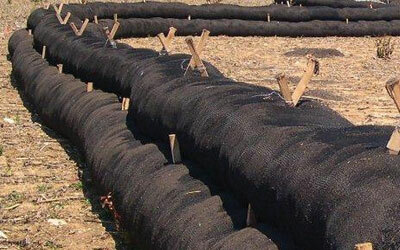 Zartman Erosion Control products specializes in providing these outstanding erosion control product materials. 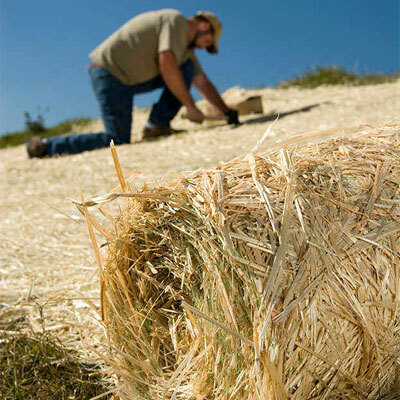 Erosion Control Products are noneffective unless they are secured to the terrain you are working with. 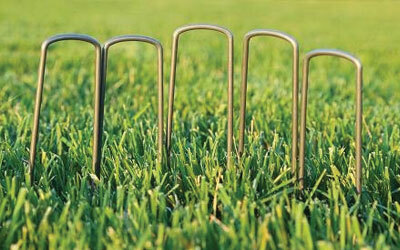 Our line of Staples & Stakes will accompany all of our products we offer.